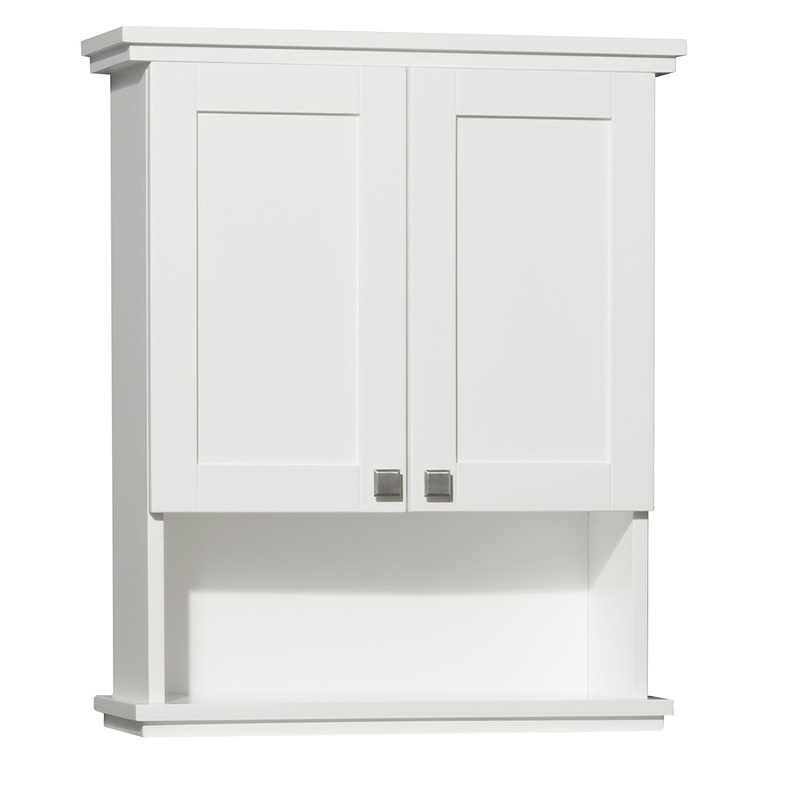 Crisp White finish, combined with attractive transitional designs give the Acclaim Wall Cabinet a style that's just as functional as it is stylish. 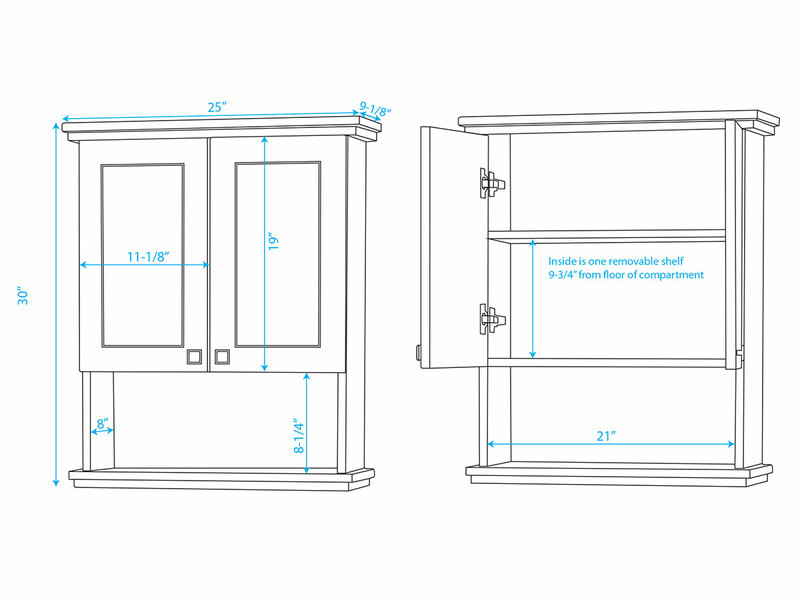 Great for matching with any of the Acclaim Vanity Collection, the Acclaim Wall Cabinet features a double-door cabinet and an open shelf of storage. 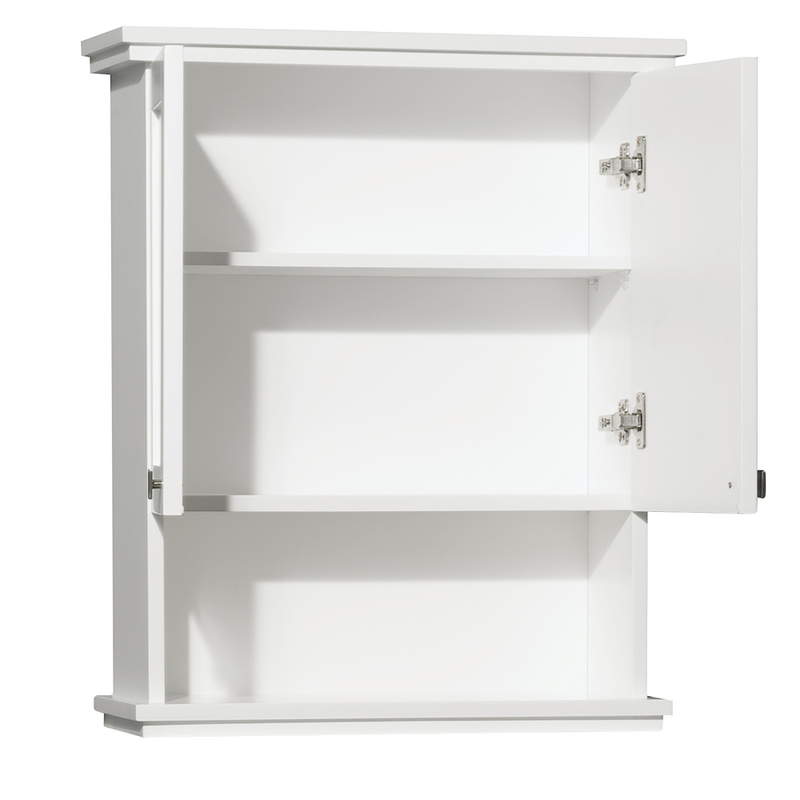 The doors are equipped with soft-closing hinges and adorned with Brushed Chrome hardware.